We wish to bring to your attention the forthcoming symposium Bringing Legs to Life at the Royal College of Physicians and Surgeons of Glasgow. 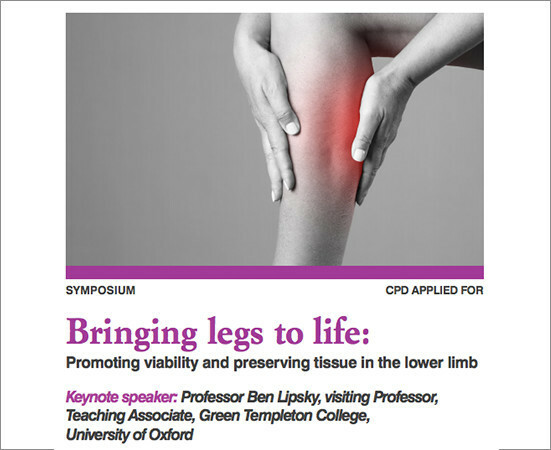 The symposium will focus on the topic of ‘promoting viability and preserving tissue in the lower limb‘. Keynote speaker for the event is Prof. Ben Lipsky, visiting Professor, Teaching Associate, Green Templeton College, University of Oxford. This interactive event is open to all clinicians with an interest in the lower limb and will provide attendees with knowledge in recognising compromised tissue, preventing deterioration and promoting wound healing while adopting multidisciplinary approaches to ensure optimum patient outcomes. The College will also host the Annual Faculty of Podiatric Medicine Dinner on the evening of Monday, June 6th, 2016 and the Faculty of Podiatric Medicine AGM on the morning of Tuesday, June 7th at 8.30am. Further information regarding the event can be found here. Reminder: SOLS by Firefly trial questionnaire Firefly @ AAOS Annual Meeting – Florida.